With smartphone processors sounding more and more like the sort of thing we’d find in a laptop, it’s no surprise that manufacturers are starting to feel the heat. With the Snapdragon 801 inside the Xperia Z2 reaching speeds of 2.3 Ghz behind those glass panels, there’s bound to be some heat issues at work here. Sure, Qualcomm continue to keep heat in these chips to a minimum, but every now and then these processors need a little help to keep their cool. 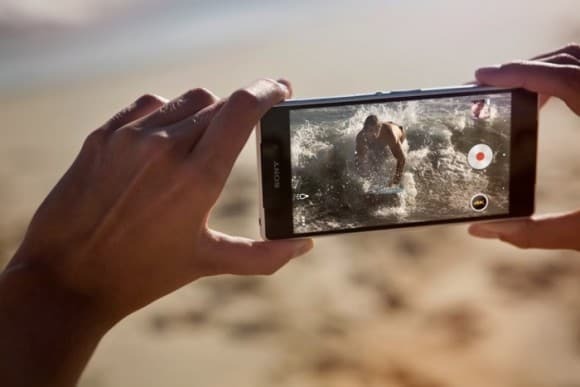 It turns out that the Sony Xperia Z2 will utilize heat-pipe technology to keep things cool. Anybody who’s ever built their own PC or has an understanding of how processors keep cool will know what we’re talking about here. For those of you that don’t however, Panasonic have a quick and easy explanation for you: “Heat-pipes are hollow metal pipes filled with a liquid coolant that moves heat by evaporating and condensing in an endless cycle. As the lower end of the Heat-pipe is exposed to heat, the coolant within it starts to evaporate, absorbing heat. As the coolant turns into vapor, it, and its heatload, convect within the heat-pipe.” Essentially, the liquid in the pipes cools the CPU when it gets hot, and then when the CPU cools down, so too does the liquid inside the pipes. Obviously, these pipes are much smaller to fit inside the thin frame of the Xperia Z2, coming in at just 0.02 inches thick. This isn’t the first time this sort of technology has been used in a smartphone, but it’s the first time that a mainstream manufacturer like Sony has used it. Instead of using traditional carbon sheets, this heat pipe method is said to keep things cooler for longer and should help when playing games or presumably recording 4K video, which has to be pretty CPU intensive as well. You might be thinking that these heat-pipes are the cause of the delay for the Z2, but apparently it’s to do with other components that Sony has had a hard time getting hold of. This sort of cooling is unlikely to become mainstream for some time, but as mobile processor continue to get more and more powerful, we wouldn’t be surprised to see more manufacturers go this route in the future. The post Sony’s Xperia Z2 Keeps Cool Using Heat-Pipe Technology appeared first on AndroidHeadlines.com |.